An Irish-born former bikie has lost his legal fight against deportation. An Irish-born ex-bikie, who has lived here since he was six years old, faces deportation under a controversial Australian government policy. Paul John Pennie’s visa was cancelled in 2016 and his appeal against deportation was rejected in the Federal Court last week. Pennie, who moved to Australia with his parents in 1980, was sentenced in July 2015 to four-and-a-half years in a WA prison for charges including possessing methylamphetamine with intent to sell or supply and wilful destruction of evidence. In January 2016, a delegate of the Minister for Immigration and Border Protection Peter Dutton cancelled Pennie’s visa, ruling he did not pass the character test due to his criminal record which included being a former vice president of the Bandidos bikies gang. After the minister refused to revoke the cancellation, Pennie, now 44, took his case to the Federal Court but last Thursday his application was rejected. According to the Federal Court’s transcript, Pennie has significant family ties in Australia and essentially none in Ireland. His parents, who live in Perth, are elderly and he is very close to his sister and her family. His sister supported his appeal, telling the court that deportation to Ireland “would destroy him”. 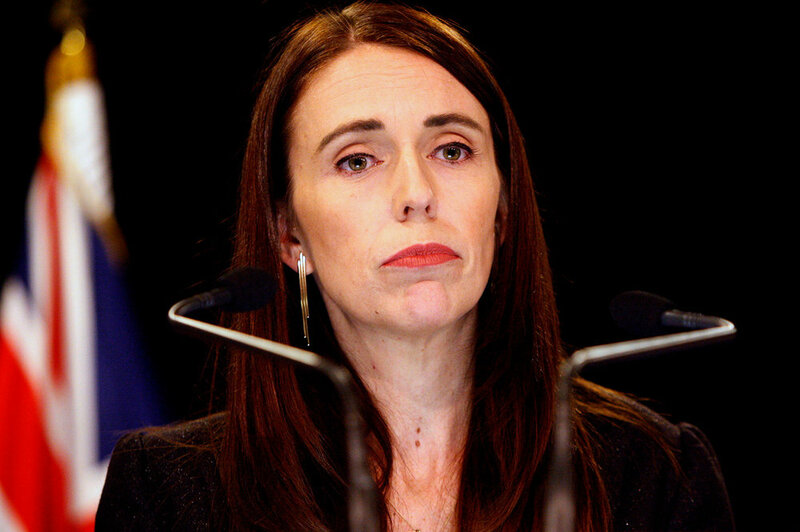 New Zealand Prime Minister Jacinda Ardern has criticised Australia’s policy of deporting people who moved to Australia as children. In her judgement, Justice Katrina Banks-Smith referred directly to the level of access to healthcare, social welfare and housing support in Ireland which, she said, was similar to Australia. A submission by Minister Dutton to the case asserted: “I accept that Mr Pennie departed Ireland as a young child and would experience significant difficulties in establishing and adjusting to life as an adult in Ireland. I also accept Mr Pennie's immediate family and social supports are in Australia and he may experience significant emotional and practical hardships upon return to Ireland. I find that Mr Pennie's psychological conditions may be exacerbated given his history of depression and suicidal ideation. The Ambassador also said NGOs like Crosscare and Safe Home Ireland “provide advice and assistance to returning emigrants”. Pennie, who suffers from heart failure (he suffered cardiac failure in 2014), Crohn's disease, depression and chronic pain, had claimed he feared a lack of medical care for his health issues in Ireland and that he would be homeless. Since 2014, more than 4,000 people have been stripped of their Australian visa and returned to their country of birth, regardless of how long ago they left. The policy has been criticised by New Zealand Prime Minister Jacinda Ardern. Is the Irish government concerned that Australia is compelling people with criminal backgrounds and no particular support network in Ireland to reside there? Christine and Anthony Hyde with their son Darragh. A Dublin couple and their young son are facing deportation from Australia because their son has Cystic Fibrosis. Christine and Anthony Hyde moved from Dublin to Australia in 2009 and have been living in the small regional town of Seymour in rural Victoria for the best part of a decade. But their three-year-old son Darragh, who has spent his whole life in Australia, has been deemed a health burden which has resulted in their visa application being rejected. Ms Hyde completed an education degree and masters in special education since coming to Australia and is now an acting assistant principal at a local primary school. Her husband works as a part-time bus driver. Because of the critical need for trained teachers in regional areas, the couple easily met the criteria for a skilled visa and were invited to apply for permanent residency in 2015, Ms Hyde said. “On August 3, 2015 we applied to become permanent residents of Australia. A few weeks later our son was born and soon after he was diagnosed with Cystic Fibrosis,” she said. The Hydes have launched an online petition to appeal to decision-makers in Canberra regarding their case. Only ministerial intervention can now keep the family in Australia, they say. “Unless the Hon David Coleman MP (Minister for Immigration), Hon Peter Dutton MP (Minister for Home Affairs) can help us, we will be forced to leave our friends, family, and the life we have built for ourselves in Australia,” Ms Hyde wrote on the petition blog. Their situation is complicated by the announcement of the federal election on May 18 which means the government is in caretaker mode. Australia’s skilled immigration system is facing another shake-up. Doubt has been cast on whether the Morrison government’s plan to compel large numbers of would-be skilled migrants to regional areas will work. 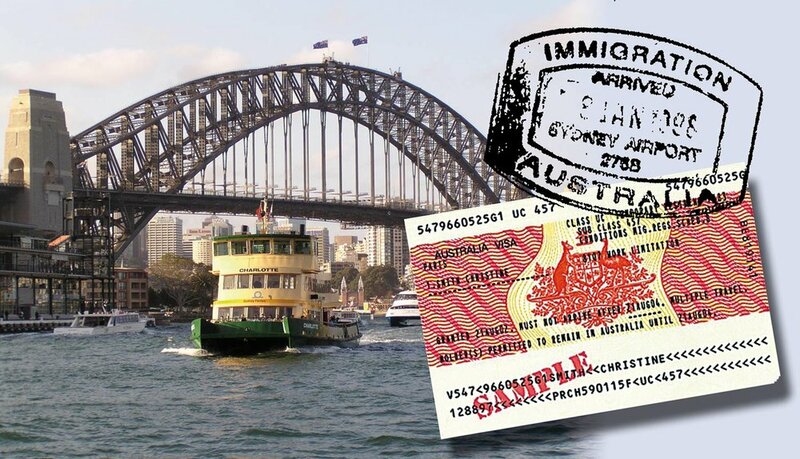 Under new plans aimed at easing congestion in the major cities released on March 19, as many as 9,000 skilled migrants each year will have to live and work in rural or regional parts of Australia for a period of three years if they want to apply for permanent residency. These designated areas essentially includes everywhere except Sydney, Melbourne, Perth and south-east Queensland but does include the cities of Adelaide, Darwin, Hobart and Newcastle. The new Skilled Regional Provisional visas, along with other incentives such as priority processing, will enhance opportunities for regional Australia, the government says. Prime Minister Scott Morrison wants more skilled immigrants to live and work in regional Australia. But immigration experts have claimed that demand for existing regional visas is actually falling and have cast doubt on the PM’s claims just months before an anticipated federal election in May. One migration agent said the new ‘three years in the bush’ provision would “be a turn-off for many”. Minister for Immigration David Coleman said permanent residency would be the carrot for new migrants to ‘go bush’. “For people who emigrate to Australia, permanent residency is at the top of their priority list,” he said. Minister Coleman said if applicants did not comply “they won't get permanent residency and they will not be allowed to settle in Australia”. Millions of dollars have been allocated to monitor compliance within the scheme. After three years applicants must prove they have lived and worked in the regions but Prime Minister Morrison played down fears of a ‘big brother’ approach by his government. “There is a strong self-assessment process to this because people need to demonstrate where they have been. Through people’s own records, where their addresses have been and where their power bills are, their employment records, their tax file numbers - all these sorts of things - we have a pretty reasonable understanding of where people have been and where they've been living. The Irish Echo has confirmed however that if applicants for the Skilled Regional Provisional visas are made redundant during the qualification period, it will be up to them to find another job or their dreams of residency may vanish. The latest statistics show that demand for regional visas (the current 187 employer sponsored visa) has actually fallen from 10,198 places in 2016/17 to 6221 places in 2017/18, a 39 per cent drop. Can I sponsor my elderly parents to come to Australia? John McQuaid answers your visa questions. However , there are some alternatives to consider . On March 1, 2019, the immigration minister announced that applications to sponsor a parent for an 870 parent temporary visa will open on April 17. This visa option will not have a balance of family test . Once the sponsors application is approved, your parent(s) will be able to apply for the visa. Applications for the 870 visas are intended to open from July 1, 2019. The visa allows parents to remain in Australia for up to five years at a time without departing. A further five-year visa can be applied for after leaving Australia for at least three months . To be eligible for the visa a parent must be the biological, adoptive, or step-parent of the sponsor, who must be an Australian citizen or Australian permanent resident. A cap of 15,000 sponsored parent 870 visas will be granted each year. Expect queues to form very quickly. The fee for the sponsorship application will be $420. The visa fees will be payable in two instalments, one at time of application and the remainder paid before the visa is granted. The 870 visas do not confer work rights . Applicants will be expected to be able to show source of funds to support themselves and have high-level health insurance. The full rules and regulations have yet to be released. There is also low-cost, longer-validity visitor visa available for parents of Australian permanent residents and citizens. Fees start at $140. These longer visitor visas can only be applied for while you are outside Australia. These 600 visas allow a maximum stay of 12 months in any 18-month period. For instance, if you have just spent 12 months in Australia, you would need to spend at least the next six months outside Australia. Otherwise, Immigration may deem you are trying to take up residence and possibly cancel the visa. If you are not in the parent queue, you can still get a longer stay visitor visa. The duration of the visa will depend on whether you have had a history of travelling to Australia previously and leaving within your visa period. Three-year visas are given to people with a good history of visa compliance. If it’s your first visa to Australia it may only be granted for 18 months. For these longer-term visitor visas you will need high-level private health coverage. Immigration is likely to ask for evidence of insurance. John McQuaid is an Irish-born registered migration agent. Send him your questions here. Many Irish workers have been left in visa limbo. Changes to Australian visas have people waiting for their 457 visa application to be processed worried that they could not only not be granted leave to stay in Australia but they could also lose the money they spent on their applications. When the rules changed, many occupations were removed or downgraded and those who were eligible for a four year visa and to apply for permanent residency can now only get two years. A 457 application should take 5-10 months but applications have been taking longer to process since the changes were announced. Turnbull alleged the 457 visa was being misused by employers to import cheaper workers and not to fill genuine skill shortages. The 457 visa was replaced with the Temporary Skill Shortage Visa (TSS) 482 but the list of occupations that qualify for the 482, is significantly reduced. The new visas has been described as limited, expensive and with an intimidating amount of paper work. People can apply for a refund of their visa fees but there are no guarantees. The employer's nomination fee of $330 is not refundable. A spokesperson from the Department of Home Affairs told The Irish Echo: "The Department assesses all valid visa applications unless the application is withdrawn. For individuals who have a 457 application in progress with the department, it is open to them to wait until a decision is made on their application. Refunds are only available in limited circumstances and does not include circumstances where an applicant has withdrawn their application due to change of mind." The people affected by the situation are often in Australia on bridging visas. They may no longer be entitled to a four year visa. If they have to apply for a 482 visa, they may not be entitled to work rights under any new bridging visa while they wait for the application to be processed. The Home Affairs Spokesperson continued: "The bridging visa held in association with a 482 visa application will remain valid until the 482 visa application is finalised. Applicants holding a bridging visa with no work rights may apply for permission to work. Each request is assessed on a case by case basis." People who applied for 457 visas before 18th April 2017, when the new rules were announced by Malcolm Turnbull, were to be protected by the old rules and still avail of permanent residency applications, shorter temporary transition periods before applying for permanent residency and the higher age bracket. But these may not apply if they have to make a new application for a 482. The Department fo Home Affairs says: "Transitional arrangements were put in place in March 2018, in relation to certain requirements for people who held or applied for a subclass 457 visa before 18 April 2017. Changes to the visa rules have made it more difficult for many skilled workers. "People who held a 457 visa before March 2018 and meet the various requirements, including being nominated in an eligible occupation, can apply for permanent residence through the Direct Entry (DE) stream of the subclass 186 or 187 visa. "People who held a subclass 457 visa on 18 April 2017, or had applied for a subclass 457 visa on 18 April 2017 that was subsequently granted, are able to access certain existing provisions under the Temporary Residence Transition (TRT) stream. "Eligible overseas workers will need to lodge an application for permanent residence within four years, by March 2022." Thousands of Irish availed of the 457 following the economic crash ten years ago. The new visa has also limited availability and is only obtainable as a short-term visa, for a maximum two years, or a medium-term visa up to four years. Brian (not his real name) is one of those caught in an immigration no-man’s land. He came to Australia with his wife and two children. He has been on a 457 since 2014 as a carpenter. His first employer nominated him for permanent residence. Brian spent $7,000+ agents' fees on the permanent residence application. Then his employer went out of business before the PR was granted. As a result, Brian’s PR visa was not granted. He lost the $7,000+ and had to start again. Brian then had to move his 457 visa to a new employer, but his visa only had a few months left so he had to then apply for a new 457 visa. He paid new 457 fees of $2,700. He applied for his second 457 visa in December 2017. The employer’s part was granted in October 2017 so expired in October 2018. Brian’s second 457 visa cannot now be granted. Brian will be forced to re-apply for a 482 visa. The 482 visa costs are more than double the fees he paid for the 457 visas. 482 visa fees will be $5,500. Brian's employer lost $330 on the first application, but will now be forced to pay the new Skilling Australians Fund (SAF) levy of $7,200 to lodge the new nomination. A huge cost that will surely deter a lot of employers from even agreeing to proceed. It was also reported in October that more than 630 Irish people had been deported from Australia over the last two years according to figures released by the Australian Department of Home Affairs. Overstaying a visa, having a visa cancelled or invalid visas were the most common reasons for their deportation. Regional farm work is key to extending your working holiday visa. The Australian Government has announced changes to the Working Holiday Maker (WHM) visa which will allow backpackers to stay in the country for up to three years. The changes, which came into force on November 5, come on the back of a relaxation of the age limits for Irish and Canadian WHM applicants who are now eligible up to the age of 35. • The option of a third-year for subclass 417 and 462 visa holders who, after July 1, 2019, undertake six months of specified work in a specified regional area during their second year. According to the Australian government, the changes have been introduced to “provide farmers with immediate access to workers in key parts of regional Australia”. Employers will be able to retain trained and experienced employees doing agricultural work for up to twelve months, rather than the previous six. This work includes harvesting and/or packing of fruit and vegetables; pruning or trimming vines and trees; crop work; processing of plant products; maintaining farm animals as well as shearing, butchery, packing and tanning work. Currently, WHMs can remain in the country for up to two years on that visa. From today, the reciprocal age limit for Irish and Australian citizens to get a Working Holiday visa has been increased to 35. Before today, applicants had to be no more than 30 years old to get a ‘backpacker’ visa. The increased age limit for Australia in only available to Irish and Canadian citizens. Australia’s Minister for Immigration, Citizenship and Multicultural Affairs David Coleman said the new arrangements will strengthen Australia's close and long standing ties with Ireland. "Both Canada and Ireland have been part of Australia's Working Holiday Maker program since it began in 1975, so it is fitting that they are the first countries to become eligible for the extended age range," Mr Coleman said. "Last year, more than 16,000 citizens from Canada and Ireland were granted Working Holiday visas for Australia, with many of them living and working in regional and rural areas during their stay." Tánaiste and Minister for Foreign Affairs Simon Coveney said the change would “not only allow a more diverse group of people to avail of this scheme, but also help to strengthen those links between our two countries even further”. The Working Holiday visa (subclass 417) is a temporary visa for young people who want to holiday and work in Australia for up to a year. You must be outside Australia when you apply for your first Working Holiday visa and when the visa is decided. If you apply for a second Working Holiday visa, you must be in Australia when the visa is granted. If you apply outside Australia, you must be outside Australia when the visa is granted. You can generally only work six months with one employer but many Irish nationals use the visa as a stepping stone for employer sponsorship and eventually, permanent migration. Most immigrants, including the vast majority of Irish nationals, settle in the larger cities. The Australian government is considering banning some immigrants from settling in big cities. Minister for cities, urban infrastructure and population Alan Tudge said his government wants to cut the number of immigrants moving to Sydney and Melbourne in a bid to reduce congestion in Australia's two biggest cities. Mr Tudge said placing conditions on visas that force immigrants to stay in less popular centres for several years would increase the likelihood that they would settle in those places permanently. "Nearly every visa has conditions attached to it, so it wouldn't be unusual to have a geographic attachment to a particular visa," Mr Tudge told the ABC. Australia is one of the most sparsely populated countries in the world, but has long had a high proportion of its population - currently 25 million people - living in cities. Around two in every five Australians live in Sydney and Melbourne alone. The government is considering banning immigrants from settling in Sydney and Melbourne for five years after they arrive in the country. Australia has the fastest population growth of any advanced Organisation for Economic Cooperation and Development country other than Canada, growing 1.6 per cent a year. But the population of Melbourne grew last year by 2.7 per cent, while the population of the south-east corner of Queensland state around Brisbane and the Gold Coast grew by 2.3 per cent, and Sydney grew by 2.1 per cent. The main driver of population growth in Sydney and Melbourne was overseas migration, with 87 per cent of skilled migrants to Australia and almost all refugees gravitating to those cities. NSW Premier Gladys Berejiklian wants a cut to visa numbers. Premier of NSW Gladys Berejiklian, the daughter of Armenian immigrants, said that she believed Sydney needed “a breather” from high immigration numbers. “It’s time to tap the brakes and take a breather on immigration levels to this state. We should return to Howard-era immigration levels in NSW,” she said. Growth in the Brisbane-Gold Coast region reflected higher levels of population shift within Australia and a higher birthrate. Mr Tudge said some categories of immigrants would be exempt from geographic blocks. Migrants who were sponsored by employers - which is the visa pathway for many Irish - would be able to work where employers need them, and those on family reunion visas - typically a foreigner marrying an Australian - would also be free to live where they chose. Sponsored employees make up 25 per cent of Australia's immigrant intake and family reunion visas make up 30 per cent. Marion Terrill, an expert on cities and transport from the Melbourne-based Grattan Institute think tank, said governments need to improve infrastructure in major cities rather than curb population growth. "People are voting with their feet, they want to be in cities and so I think the job for government is to ensure that cities work and that people can get around rather than to try to get people to go where they don't want to go," Ms Terrill said. Melissa Montero, an immigrant advocate and chief executive of the Sydney-based community migrant resource centre, said immigrants need social support, language services as well as jobs to successfully resettle. Carla Wilshire, another immigrant advocate and chief executive of Migrant Council Australia in Canberra, suggested the government should invest in services outside Sydney and Melbourne to make smaller towns more attractive to immigrants. Mark Morey, secretary of Unions NSW, which represents trade unions in New South Wales state, said the government's plan would leave immigrants isolated, with fewer job options and with less pay than they could hope for in big cities.